――The fierce, golden tiger stooped low, and glowered over its surroundings with its razor sharp gaze. The great tiger was about four meters in length, a four-legged beast boasting a body over twice the size of the lions and tigers Subaru knew. With lumbering legs and its mouth unable to close in its long, protruding fangs, the beast flaunted its blood-drenched daggers to and fro. ……is that? But before he could finish the question, the airborne carriages crashed to the ground. The sound of destruction echoed, splinters of wood scattered, and shrieks saturated the air. The passengers swallowed by the impact were thrown to the ground, those conscious wailing in pain, while those unconscious lay motionless in their own puddling blood. ――That instant, Subaru was struck with the thought: I have to help the wounded. But before he could turn that thought into action, an intense movement swept Subaru along. Swinging around, ignoring Subaru’s astonished cry, Patrasche scraped her foot into the ground and dashed away from the beast, aiming straight for the forest. Subaru shouted to the dragon that was ignoring her rider, but, just like on the way here, Patrasche showed no intention of obeying his will. With a thunderous bellow, as if slicing through the forest, the beast hounded Subaru’s trail. A torrent of bestial rage and hostility pierced down the road such that as much as Patrasche tried to get away, her instincts froze her still. The petrifying sensation of a mighty existence possessing life-threatening power making him the focal point of its hostility. Taking in this feeling he had felt many times before, terror and dread coursed up Subaru’s spine. And precisely because he knew this feeling well, he could not blame the frozen Patrasche for stopping her steps in such a time and place. He could not blame her, but the consequence was clear. Turning around, the devastation at the root of his terror flowed into his sight. From light swings of the beast’s paws, dragon carriages were sent tumbling like toy boxes as their contents scattered and struck upon the trees of the forest. Perhaps, if one amplified the sound of chopsticks snapping by a hundredfold, it would be something resembling this sound of wood and human bones shattering against one another. Faced with a literal monster, despite knowing that inaction was the same as waiting for death, no one moved from their spot. Perhaps, they were afraid that any movement might excite the great beast to turn its claws, its fangs, and its wrath towards them. Although, they instinctively knew that doing so would only be shifting around the order of their doom. Trembling from the roots of his teeth on the petrified dragon’s back, Subaru burned the murdering beast into the back of his eye with the resolve of certain death. Coated in beautiful golden fur, its face possessed at once savagery and dauntless dignity. Its keen eyes were brilliant with hostility and rage, and its rattling fangs were too sharp to be likened to mere blades. ――This could very well be the thing that attacked the Sanctuary. ――Something was sticking out of the left side of the great tiger’s back. To the enormous beast with seemingly limitless physical strength, the damage must have been trifling. From its movements as it walked, it didn’t seem to be even aware of the wound, and must have considered it no more than a scratch. Yet for Subaru, it possessed great meaning. Not the wound itself, but the familiar-looking object that inflicted it. ――It was Ram’s favourite wand that should still be in her hand. The small casting-wand that Ram used for chanting magic. At least, Subaru had never seen her use any other medium for spellcasting. Just now, she was wielding it in her hand in her stand-off against Garfiel. There was no mistaking it. Suddenly, a scene from before flashed across Subaru’s mind. ――Ram, having lost her wand, failed to stop the tiger-morphed Garfiel in the end. The monster’s face scowled at Subaru’s call, without answering. Only, as if irritated by Subaru’s voice, it shook its lumbering head and waved up its paw, revealing the tip of its claw. At the end of its claw, there dangled a strip of a familiar-looking black fabric. Seeing this alone, Subaru understood the fate of that peach-color haired girl. Screaming, abandoned to rage, Subaru let go of the reins and flew down from Patrasche’s back. Landing miserably, he rolled to the ground, and, climbing onto all fours, he glared in front of him. Both on all four limbs, man and beast faced one another at a distance. The gap in strength was obvious, and without a single hair’s chance of victory, there was already no room for negotiation between them. Answering Subaru’s enraged scream, the beast roared into the sky. The atmosphere pulsated, the forest recoiled, the leaves shuddered and all living things cowered, overtaken by dread. But Subaru alone, unfazed, bared his teeth. The next moment, in answer to Subaru’s insult, the enormous tiger charged. With overwhelming momentum, the wreckages of dragon carriages between them were blown into the air as the beast advanced through the mist of splinters and blood. Incredible velocity, and enormous mass. Direct impact would be akin to being struck by a large truck: instant death without even the time to gasp. Imminent death was before him. Sensing its inevitability, Subaru’s mind turned with unprecedented speed. Tapping into rage, his brain cells ignited in an explosion of emotion. A certain darkness loomed within his chest, and following the flow of blood it coursed throughout his body. Hot, black, dark, faint, murky, and immaterial, that something horrible―― can be grasped. His single eye flying open, Subaru felt the sensation of having grasped onto something within himself. He looked in front of him. At a distance close enough to feel each other’s breaths, the beast’s fangs were upon him. With reflex transcending the physical limits of his body, Subaru saw, at the back of the beast’s opened mouth, its red and black esophagus that was the entryway into death. In that instant, Subaru raised up his arm and placed it between the fangs and his chest. Suddenly, with a swirl of wind, the body of the great beast vanished before Subaru’s eyes. No, more accurately, it was not that it vanished. But, from sheer momentum, with its head as the pivot, the great tiger was flung into a 180 degree arc into the air. Just like this, it landed with its back crashing to the ground, barking in pain and incomprehension as its enormous mass bounced off the surface, rocking the earth with its impact as it tumbled. Turning around, Subaru watched in disbelief as the fierce tiger rolled across the ground. Just now, Subaru was certain that he would lose his life. The beast seemed just as shocked. Lying sideways on the ground, its face told of utter confusion as it slowly pushed itself off the surface, but owing to the impact to its semicircular canals, it collapsed to the ground once more. Neither understanding what had happened, they looked at each other, panting. But Subaru, feeling a sudden fatigue surging through his body, fell to the ground, while the great tiger stood up with a frustrated shake of his head. Forcing his trembling arms to push his body upright, Subaru sank his teeth into his lip to keep himself conscious. In front of him, the giant beast cautiously shifted its body left and right, most likely trying to fathom the incomprehensible phenomenon behind that momentary exchange. Still, Subaru wasn’t sure if he could bring that mysterious sensation out again, even if he tried. He managed to land one on him, but none of it had felt real. His opponent’s caution was almost comical, but, without any grounds to laugh, Subaru himself was just as ridiculous. Feeling the illusion of being bathed in a great stormwind, Subaru covered his face and his body instinctively contracted. Cutting through the gaps of his petrified nerves, was the sound of steps stamping into the earth. Shattering the ground, the beast’s body leaped into the air, throwing itself directly at Subaru. Its mass, its claws, neither was avoidable. This time, the sensation from before did not emerge on the tips of his fingers. It’s the end. The end is coming. Thrusting in from the side, Patrasche rammed her head into the great beast’s stomach. I finally found a proper tiger for the thumbnail… I had to search “Were-tiger” which is apparently a thing. I added the shadows and flames and white eyes to make it look scarier. 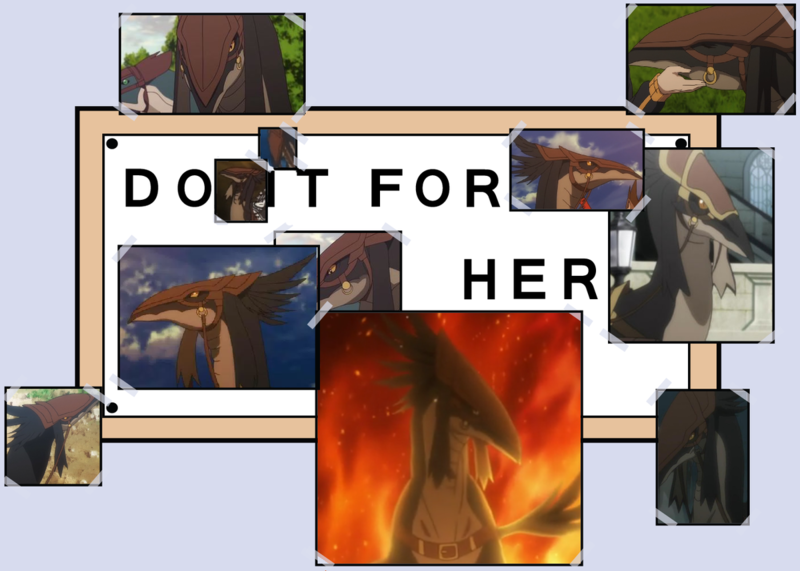 Best girl can’t die right? Some anime have the best girls don’t die . In Re Zero you will be happy to see your best girl death count to be on the single digits . If I had to guess it would be the authority (power) of sloth (petelgues w/e his name is) that the witch mentioned during their tea party. hmmm could be! but it might have looked like a wind because it’s unseen (hands). It sure isnt the authority of greed. If anything i would assume its Sloth. So basically, Garfiel has turned into The Mercenary but with golden fur from Grimoire of Zero anime lol. I wonder what is that black, murky, and immaterial thing that blown Garfiel into the air…? Yessss Subaru finally getting some power up!!! Thanks a lot for the translation Chicken!! Did he used the authority of sloth? And BAM tiger is no more. Doesn’t work like that. Satella might just kill him instead. can subaru kill garfiled by revealing or by saying about his ”Return by death”?? like what happened in ep 17, cuz from what i understand, he isn’t allowed to tell anyone about his power or else that person who has heard about his ability will be killed by the witch. Sorry but it’s not that convenient. The point (that everybody missed watching the anime) is that it’s not the one hearing the words. It’s someone important to Subaru. If you stop fearing the fire and put your hand into it, the enemy have to threat you mentally. intense part. he used the witch gene i think. thank youubso much chicken sama..thr thumbnailnis really good! I hope Subaru will use his time in the next loop to nurture this new power. Thank you as always, it’s a great morning when I wake up and find the next chapter available or even a part of one :). I keep accidentally typing “eyes”, thanks for finding it! I’m surprised that no one has mentioned that subaru’s power might originate from his “pride”. OMG! That was AMAZING! Did Subaru do what I just think he just did? Does he have the authority of sloth now!? I heard this happens but I didn’t think it would be so soon. The whole Garfiel being an actuall “were – tiger” I did not see coming even though I probably should have since it was implied earily on but I just forgot. I’m crying …whats wroooong with me! Pls don’t judge me guys. Intense chapter, thanks for the work Chicken. The further I read, the more i want Subaru to solve everything without Garfiel’s help as i dislike him more for each loop. Someone please kill Garf….. PLEASE! Yeah were-tiger is a thing from Breath Of Fire III. Also used.in D&D. 4 meter is just average tiger length, top it with double size. This is very confusing. It sound like you try to describe the tiger is round shape. You might need to rewrite this part. A Siberian tiger is much bigger than what you describe. Thanks for undertaking this gigantic project to allow those of us who can’t read the Japanese the chance to read it. I can’t express my appreciation enough! Just what was that! Patrasche please don’t die. Garfiel please fu*k off. Ram ;(. Amazing. I have to read the next one even if it is late at night here.